For the second consecutive year, we invited dance artists across all genres and all 50 states to enter our Chance to Dance viewers’ choice contest for the opportunity to perform as part of Festival 2018’s Inside/Out Performance Series. This year approximately 100 artists representing 26 different states submitted applications. Dance fans from all around the world then selected a winner from the five finalists featured on PillowTV, the Jacob’s Pillow YouTube channel. With over 1,000 votes, regionally based IndianRaga won the 2018 Chance to Dance contest! Watch this classical Indian choreography on the outdoor Henry J. Leir Stage Friday, August 3, 6:15 pm. 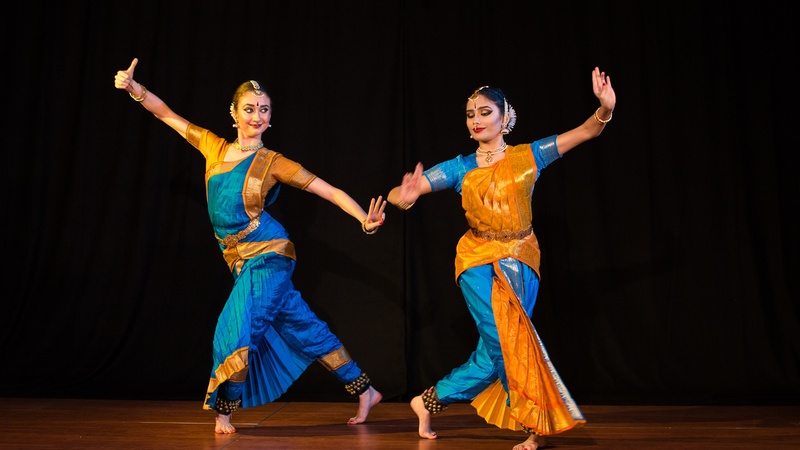 IndianRaga, based in Cambridge, MA, is devoted to presenting high quality Indian classical dance to a wider audience. The company provides a platform for artists across the U.S. and the world to collaborate across styles and reach audiences through a unique online platform. Visit their website. The Inside/Out Performance Series offers free outdoor performances by emerging and established dance companies and presentations by dancers of The School at Jacob’s Pillow, every Wednesday through Saturday during the Festival at 6:15pm. Click here for details. Check out the full schedule of free, family-friendly performances presented on the Henry J. Leir Stage. The company will perform on Friday, August 3 at 6:15pm as part of the Festival 2018 Inside/Out Performance Series.